I always see adorable tile coasters or cute little wine charms, and I love the idea, but that's really just a little too foofy for me. I don't know why the heck I felt so compelled to make a set of coasters, since I never have more than two people over to my most-humble-abode at one time, and I don't have a stick of furniture worthy of protection from life's most vicious elements. All the same though, compelled I was, so here's the end result: my anti-foofy, claim-your-beverage-in-semi-permanent-style, bright and sunshiny coasters! 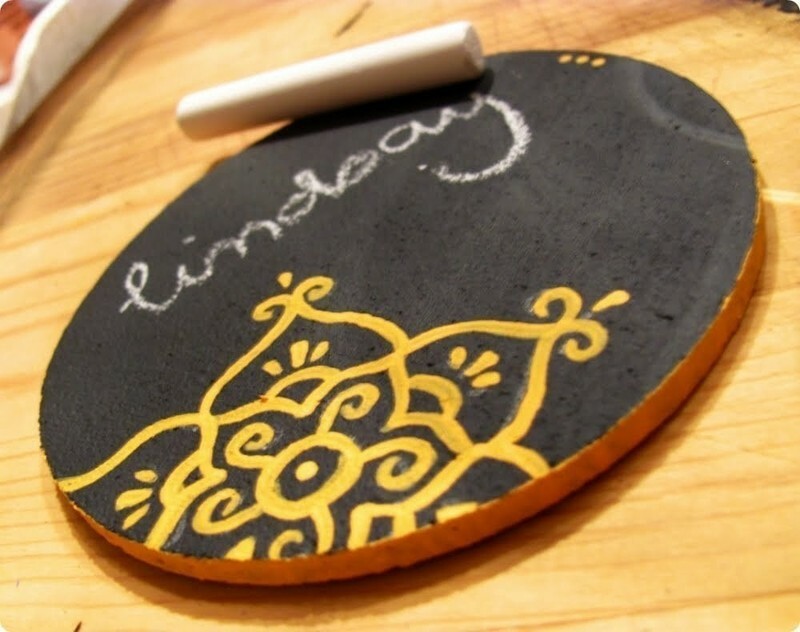 Begin by brushing a thin coat of chalkboard paint (available at Lowe's & Home Depot) onto your cork mats (available at Michael's in the floral section). 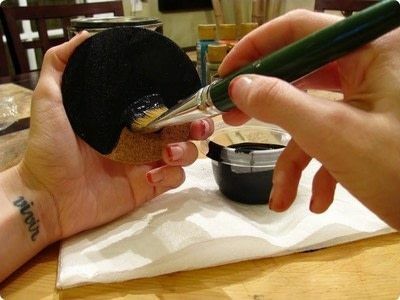 Brush it onto the top and sides but not the bottom. Allow each mat to dry while you paint the rest. After you finish the last mat, go back and begin applying a second thin coat to the first ones. Choose a design for your coasters, and sketch it onto the painted mat with a regular pencil. I Googled henna tattoo designs for my coasters because I love the gorgeous patterns - paisleys, florals, and all sorts of abstract shapes. 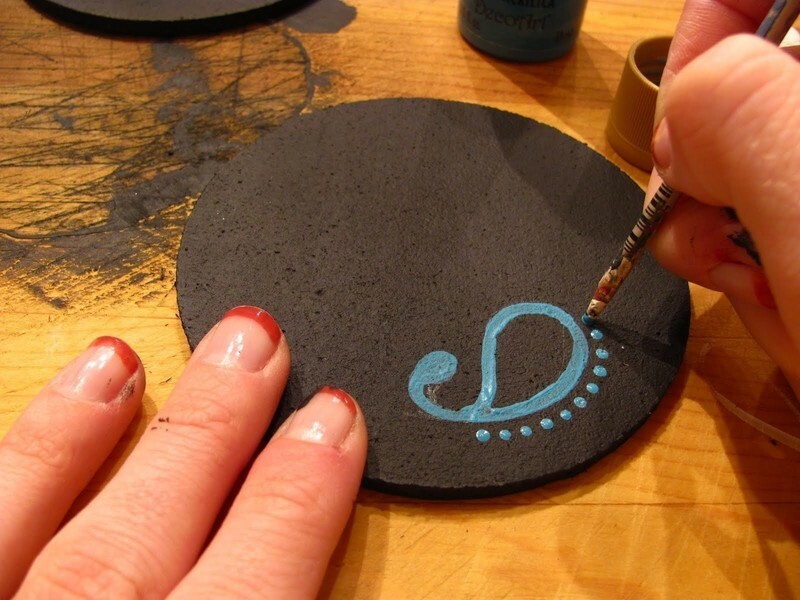 Don't be afraid to mess up; this painted surfacce is very forgiving and can be easily erased. Once you're happy with your sketch, use a fine brush to slowly paint it on with the acrylic paint of your choosing. It may need a second coat after it dries. 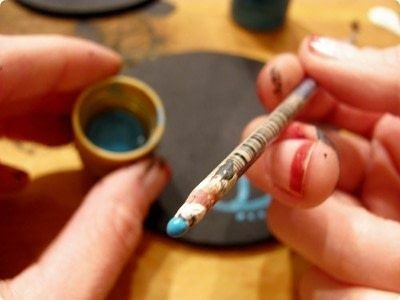 For small dots or other similar details, I find it helpful to use the fine, pointy top-end of the paintbrush. 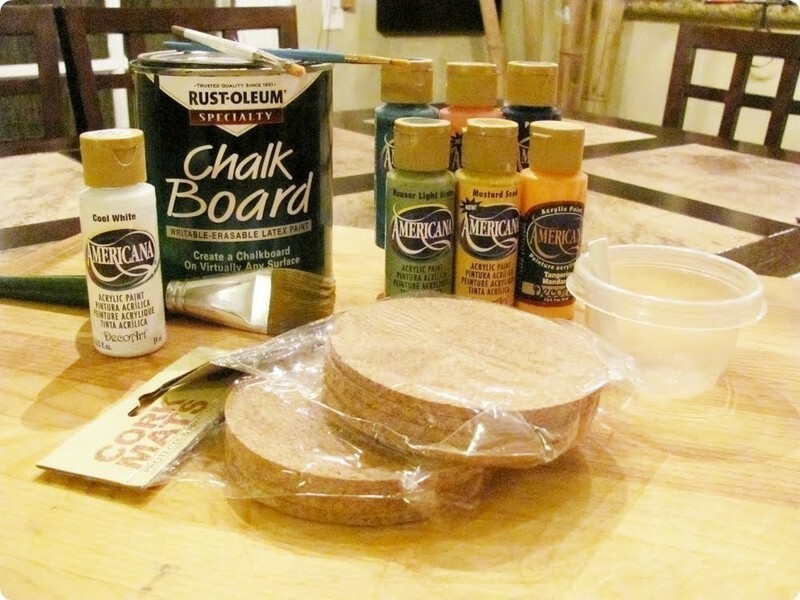 Just dip it into your acrylic paint and dot it onto the painted mat. 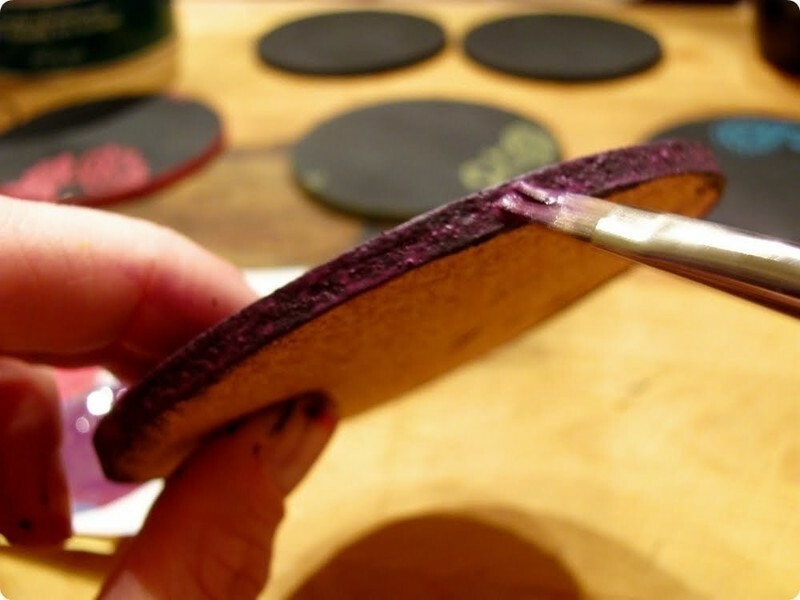 This gives you perfect little dots in no time flat (thanks for the idea, Mom!). 4 contd. Here's a closer shot to show you what I mean. Paint the outer rim of the mats in a coordinating color or the same color as the design. 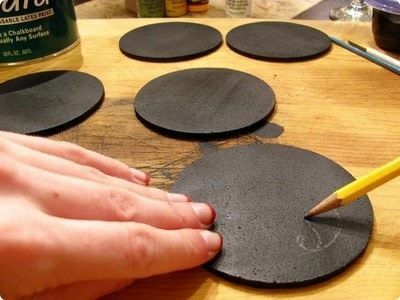 This will give your coasters visual appeal even when stacked. 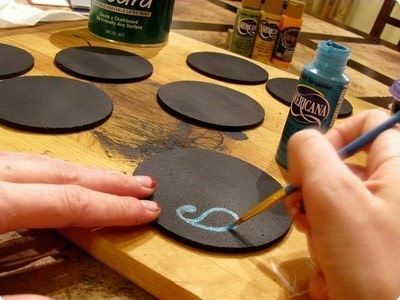 Once everything has dried, you have a fun little coaster set that your house or party guests can scrawl their marks across to claim their beverages. Just wipe it away with a damp cloth at the end of the night, and they're good as new! Can you use regular wood instead of cork wood? Ouh, these are really fun! Will definitely Try Them! really awesome idea, like the paint decoration on it too. thanks for the tute and the sharing, love this.